“Why don’t you go and do some writing?” That’s what my wife Kate had said to me. I returned half an hour or so later with a paragraph or two about how I always hoped Kylie Minogue might break down outside my flat, and how – having discovered that her mobile phone was dead – she’d choose my door (from the multitude of doors available to her) to knock and ask if she could borrow my landline. And this – this seemingly unlikely event – would be how destiny would finally bring the two of us together! First chapter? I was just killing time. But back in September, ten long years after writing that initial scene, I published my debut novel – The Good Guy’s Guide To Getting The Girl. The book that Kate had encouraged me to write. The one that she hoped would allow us to sell up and move to warmer climes. The one she never got to read. Putting the book out there was pretty scary. I’ve written (or co-written) four other titles, but I wasn’t anywhere near as emotionally invested in those books, as I was in this one. 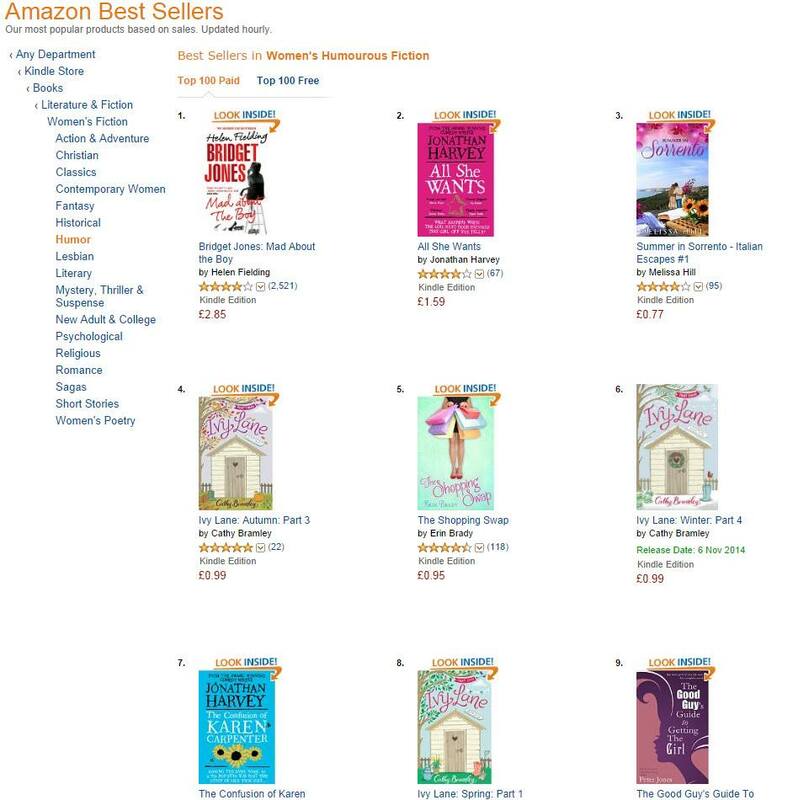 When the book climbed to number 9 in Women’s Contemporary Humorous Fiction I was besides myself with joy… when it fell out of the charts a few days later, only to fall and keep falling, I was heartbroken. I felt like I’d failed. Worse still, I felt like I’d failed Kate. 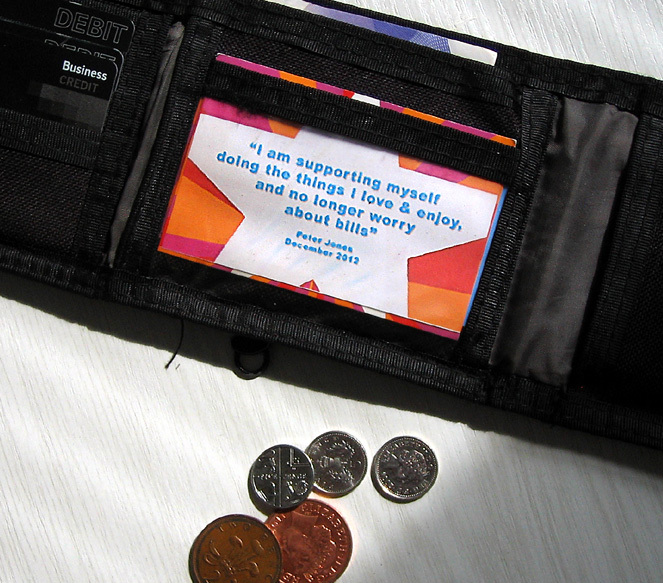 The money was running out, my days as a full-time author seemed to be numbered. In much the same way that the first edition of ‘Happy’ eventually got the attention of Audible, an agent, and Harper Collins – my little novel found it’s way into the offices of people with considerably more clout than me – and earlier this year I signed not one, but two contracts – the upshot of which means that today, Thursday 21st May, Good Guy Jason Smith gets another shot at the big time. 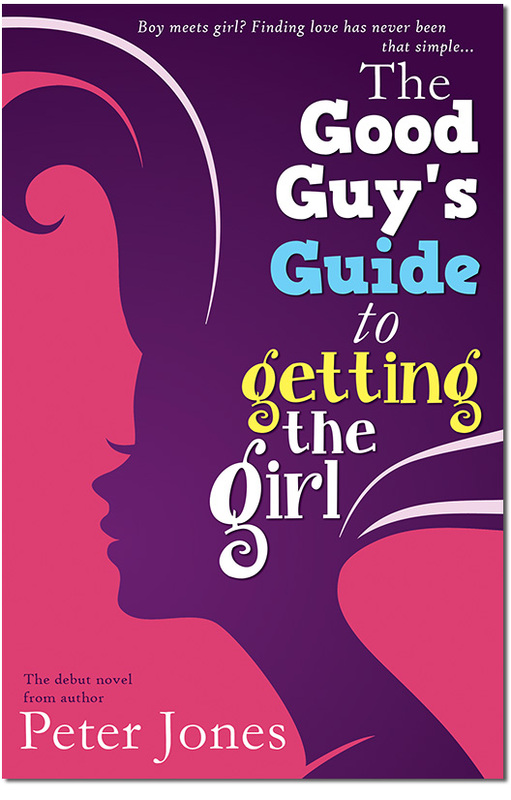 Behold the revamped, re-released, second edition of The Good Guy’s Guide To Getting The Girl. It’s not massively different to the original: A few tweaks here and there to make it a little less ‘blokey’. A brighter, more feminine version of the original cover. I’ll be blogging about some of the other differences between this edition and it’s forerunner in the coming days, but for now all you really need to know is that it’s still the amusing tale of a thirty something guy, and his somewhat unorthodox attempts to find the woman of his dreams at the turn of the century. All made up. Honestly. And the perfect summer read whilst you soak up some rays, or take cover from a monsoon. Right now the ebook version is little more than a couple of quid – that’s less than the price of a cup of coffee – and you can download it from amazon and read it on your kindle, your ipad, your smart phone, even your mac or pc. Or, if you’re more retro, for a few quid more there’s always the paperback. And am I scared? No. Well, maybe just a bit. But this time around things feel more ‘right’ than before. This time around I think Kate would be proud. Back when my agent was shopping How To Do Everything And Be Happy around the UK publishers, there was some talk about whether or not I should change my name to avoid confusion with the other Peter Jones who, whilst equally tall, is often described as being more dragon like, and has a tendency to arrive at venues in a helicopter. Sharing a name with a celebrity has advantages and disadvantages. On the one hand people rarely forget me. I’m Peter Jones. Like the dragon. Like the shop. Memorability is a useful thing when you’re an author. On the other hand, journalists have this annoying habit of getting VERY excited about the possibility of an interview… and then lose interest just as quickly when they realise I’m not a billionaire, or a regular face on prime time television. It’s a little like I offered you a five quid, and you thought I said five-hundred quid. When you realise I meant a five pound note you might feel ever so slightly let down. You might politely tell me to keep my cash. I want to say, “it is still cash you know!” but neither you and I are the actual people in this scenario, and nobody’s talking about cash. Even amongst readers there’s some confusion. I occasionally get emails along the lines of “so you’re not the real Peter Jones then?” (am I somehow not real). And at a book signing back in January one lady came up to me, asked for the book to be made out to her son – and then promptly told me that he was doing my business course at college (I just nodded and smiled). Then a couple of weeks back, when I popped along to Author Della Galton’s latest book launch, one of her readers (who was clutching a copy of How To Eat Loads And Stay Slim) exclaimed “Wow! 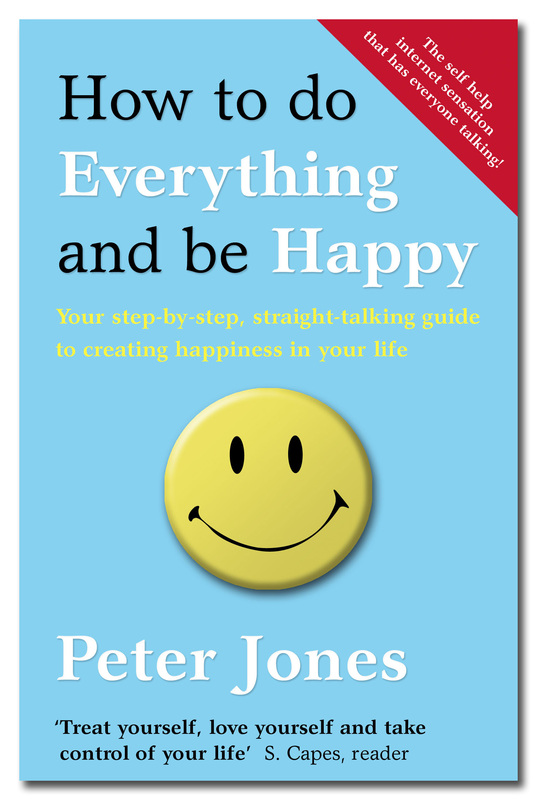 You’ve written a book with Peter Jones! Will he be here today?” When Della pointed out that I was standing right behind her there was that awkward moment of confusion that I’m beginning to expect when I’m introduced to people. It occurred to me that a little re-branding might be in order. Time to tell the world that there’s another flavour of Peter Jones available, and like any branding exercise, give people some sense as to what I’m about. With this in mind I had some new author photos done. Reaction has been mixed. Most have reacted very positively. Others… less so. I feel that I’ve stuck my head above the parapet somewhat. But then I suppose that was the point. I’d be interested to know what you think (though try to keep in mind that I’m a human being, with actual feelings, armed with a delete button…), and even more interested if you’ve got a similar experience of your own to share. Use the comments box below. Why a misplaced hyphen can dash your hopes of ever being published. My first real literary ‘rejection’ came at the hands of an agent who we’ll call Jane Slash. On the day that Ms Slash received my manuscript she’d clearly discovered that her husband was indeed the cheating scumbag she’d always suspected he was. Moments later she burnt both slices of toast, the cat threw up all over her white carpet, and she broke a heel on her favourite shoes. I don’t know this for sure of course, but I’m guessing it must be the case because when the first three chapters of The Good Guys Guide to Getting The Girl arrived on her desk she wasted no time in telling me how much she hated it. And my god, how she hated it. 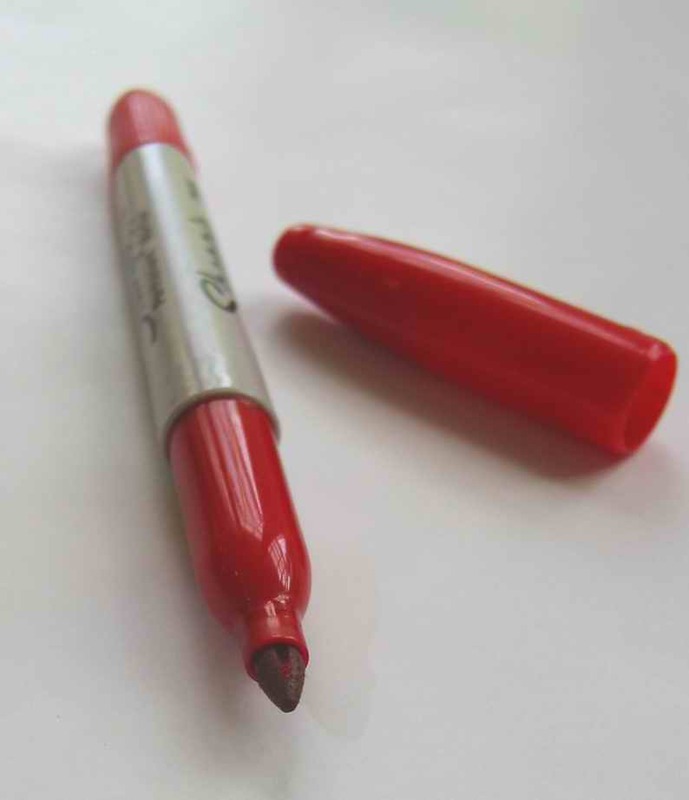 “Further more the manuscript is littered with typos which is very distracting, and shows a somewhat careless and slapdash approach to your writing.” Or words to that effect. It was this remark that stung the most. Whilst I was prepared to take on board everything else she’d said, the one thing I was pretty sure I had nailed down was my spelling, and grammar. Throughout my entire professional life nothing I’d written had ever left my computer without being run through the internal spell check, and then read through by myself and my colleagues. Even the pages Jane was busy using to stoke the fire under her cauldron had been scrutinised by several sets of eyes. “There’s nothing wrong with those chapters,” said my mate Pat, “and I should know!” Pat’s an English teacher somewhere in the south-east of England. And given what happened next, maybe that’s as much as I should tell you about him. Or her. I’m not saying. Which was how I came to meet Alison the Proof Fairy. I duly sent Alison the same first three chapters and expected to have them sent back with a covering email telling me that she couldn’t find anything to correct. Boy howdy – how wrong I was. I’ve just had a quick look at the document Alison returned to me – for old times sake – and believe me when I say I can feel my cheeks glowing again, just as they did almost two years ago. I’d include the file here for you to look at, if I wasn’t too ashamed to do so. Firstly, regardless of how you rate your attention to detail, unless you proof for a living it’s extremely unlikely that you’ll spot all the errors in your own writing. You’re just too darn close to it. But more surprising, unless your friends are professional readers (and may I respectfully point out that being a teacher doesn’t seem to be close enough), neither will they! Secondly, agents don’t actually seem to accept anything. They reject. As would you if you had a mountain of manuscripts to get through. You’d work through those chapters looking for reasons to throw them out, until you finally unearthed the one document that hadn’t, in any way, made you want to toss it across the room. Finally, two years on, having published How To Do Everything and Be Happy, with a further two titles waiting in the wings, I realise more than ever the importance of perfect spelling and grammar. I simply can’t take the risk that one of my readers might come across a typo. Particularly if that reader turned out to be Jane Slash. Heaven knows what she might do. So, a while back you’ll remember I was sharing with you the challenge of having to bring a 115,000 word manuscript to under 90,000 – whilst shoe horning in another couple of chapters. You’ll be pleased to know that I did it. Two months to the day after I sharpened my editing pencil, the novel finally weighed in at 89,532 words and was promptly shipped back to my agent. Now – apparently – I wait. Let me just take this opportunity to segway into a barely concealed rant about how much waiting there seems to be in the traditional world of publishing. From the moment you type the words THE END on your manuscript you actually begin a perilous journey on the road to publication – most of which involves waiting for someone, somewhere, to come back to you. 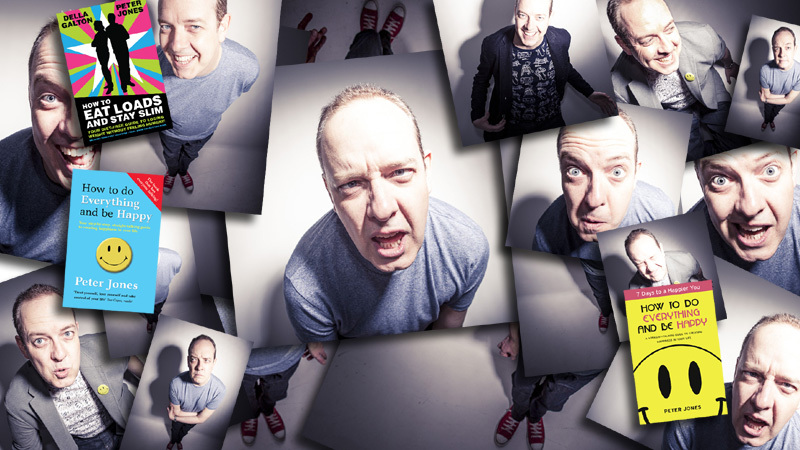 Which is quite a shock to the system for a fella like me, when up til now the only person preventing me from moving forwards – was myself. It doesn’t help that I come from a Credit Card Banking background where hard-nosed, money-minded gentlemen want everything this time last week – earlier if at all possible – and I hate to admit it now, but that suited me just fine. You might have gathered that I’m not a patient person. In fact, in the words of Charlotte from The Importance of Being Earnest – “I hate waiting even five minutes for anybody. It always makes me rather cross.” But what makes the waiting even more torturous (for me at least) is that I’m acutely aware that there are no guarantees. In my head, every second that ticks by is just another moment when my manuscript might be buried under something else, never to see the light of day. So what’s to be done? How can I prevent myself from gnawing off my forearm as I sit and stare at my empty email in-box? The answer – so I’m told (thank you Wendy, thank you Della – two ladies who have said this very thing to me many many times over the past few weeks) is to start writing my next book. And that – you lovely, lovely people – is exactly what I’m going to do. Consider this a formal announcement as such, if for no other reason than I’ll look pretty silly if this time next month I haven’t actually done anything about it. A few gems to whet your appetite. It’ll most likely be another non-fiction book. It’ll most likely be another self-help book. It’ll most likely be written in a similar style to How To Do Everything and Be Happy. And here’s where I really lay my head on the block – it’ll be finished, proof read, formatted, and on-sale (for the kindle at least) by next April. Ish. Because… I wouldn’t want to keep you waiting. In the meantime though feel free to torture me with your writing-related-waiting-experiences (I think I’m going to regret asking that) OR any pearls of wisdom you may have re the publishing process and how to survive it, in the comments box below. Back in July you may remember that I told you how, after six years, my novel is almost finished. Oh my god how wrong you can be. Let me bring you up to speed on a few things: At the time of writing I had an agent, who, having read the first three chapters, liked the book and wanted to see the rest. Which would have been fine if the rest was just sitting around ready to be sent – but, it wasn’t. Hence the flurry of activity to finish it, and the aforementioned blog post. bring the word count down to 90,000 words. The first two items were achieved within a few days, but the third… well I’ve been struggling. As my novel weighed in at 115,000 words I was faced with having to cut 25,000.
identify the wordier scenes – trim them agressively. Two weeks ago I was down to 103,000 words. Still 13,000 left to cut. Out of desperation I printed off the entire manuscript (something that my friend Wendy told me to do from the off), sat down with a red pen, and read the whole thing looking for anything that could go by the wayside, and a weeks later I was down to 97,000 words. – the book is actually better. And that’s the bit that’s really taken me by surprise. Weeks ago my friend Della Galton told me my book would be better for the level of cutting I was embarking upon – and by golly she was right. Somehow, the very act of taking out the weaker words, scenes, and in a couple of cases whole chapters, has distilled what was left, and made for a much stronger story. But please God I hope my agent doesn’t want me to lose any more. As of this morning I’ve still got 5,497 words to find.